VBH is pleased to welcome Steve & Betsy Russ as our next guest speakers at the Veterans Uptown Lunch. Come and join us from 12:00 pm to 1:00 pm on Wednesday April 10th in the Fellowship Hall at Covenant Presbyterian Church. Space may be limited so RSVP today. 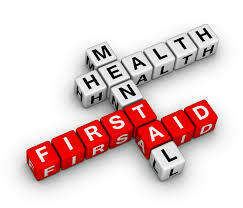 What: Mental Health First Aid Training teaches you how to identify, understand and respond to signs of mental illnesses and substance use disorders in those we care about at home, our workplace, and in our community. Wednesday Workout is a strength & core focused workout for all . Join us on April 18 for free coffee, donuts & connecting with fellow area veterans from 8:30-9:30 am at the TIAA Main Campus , 8500 Andrew Carnegie Blvd, Charlotte, NC 28262.